We all know and love the new R35 GT-R, but what about the reported transmission failures when using the launch control feature? One Australian company has a solution. Pfitzner Performance Gearboxes (PPG) out of Australia wants R35 GT-R owners to have their cake and eat it too. They’re readying their first GT-R gearbox upgrade to hopefully solve the issue some owners are experiencing when over-using the launch control feature. The GR6 gearbox is a beefy unit from the factory, but it seemingly has its faults. According to PPG, the main reason for the GT-R transmission failures occurs on the teeth of the first gear when put under extreme stress. Fractures develop after few hard launches and eventually the teeth give way. 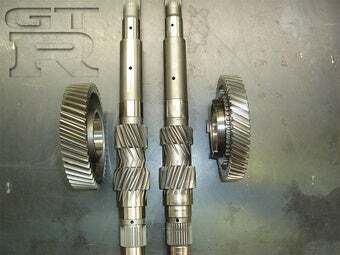 The company will soon offer a drop-in first gear replacement featuring a much wider gear to increase the strength of the unit. A follow up set will include gear upgrades for high-horsepower cars and a 1st through 4th gear upgrade set. We only hope Nissan will look to this option, rather than dropping launch control altogether. This is apparently what Australians are doing when not hooning cop cars.